Reward Charts are powerful tools that can help track and improve behavior, homework, tasks and chores in a fun, positive way. 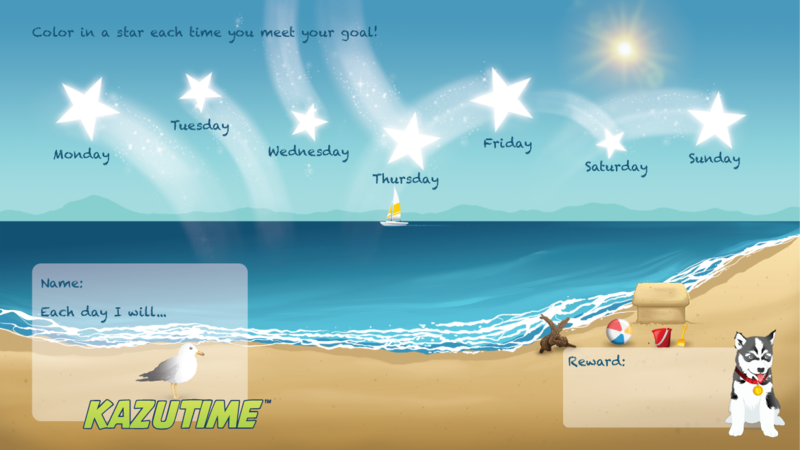 Use reward boards to help children gain new skills with KazuTime! 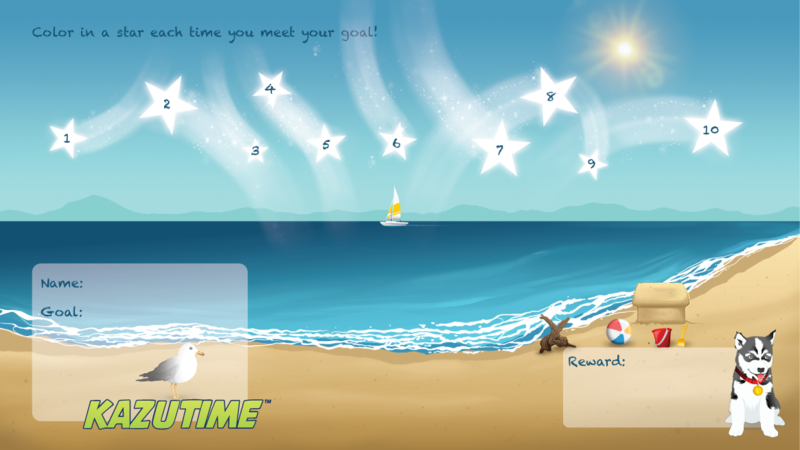 KazuTime features shooting stars as a way to gain rewards; the more shooting stars the children earn, the greater the reward. The single goal chart is the perfect place to start! Choose your task and set a goal. Color one KazuTime reward star when a task is completed. Once all the stars are filled in, the reward is earned! Congratulate them on a job well done, they’ve earned it! The weekly goal chart is designed to reward completion of multiple tasks like chores, homework assignments and more that are based on time! It allows you to see how well different tasks were completed over the course of a week. It is a great companion to any chore chart that you may use already. Choose your weekly task(s) and reward(s).